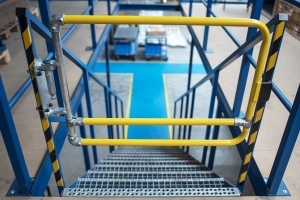 A portfolio of safe access solutions which allow people to work safely, whether on a roof, on a raised platform or within a production environment. 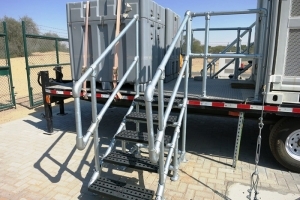 Mobile or static access platforms designed and built to customer specifications using KEE LITE or KEE KLAMP fittings. 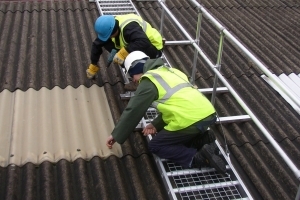 Custom Step Overs designed to provide safe access to roof areas which could be difficult to reach otherwise. A portfolio of self closing safety gates for internal or external applications in rooftop or industrial manufacturing environments. 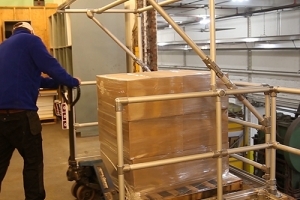 A range of gates which provide safe access for employees involved in loading and unloading pallets onto mezzanine floors. 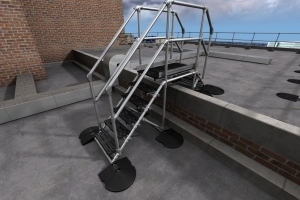 A range of fragile roof access equipment designed for providing short term protection for work on industrial roofing. Simple and quick assembly work platforms for short term maintenance and installation work.